We have a massive section of Star Wars action figures, vehicles, comic books, graphic novels, books, vintage toys, bobbleheads, statues, dioramas, busts, replica lightsabers, magnets, mugs, t-shirts (adult sizes only), Lego, and much, much more. 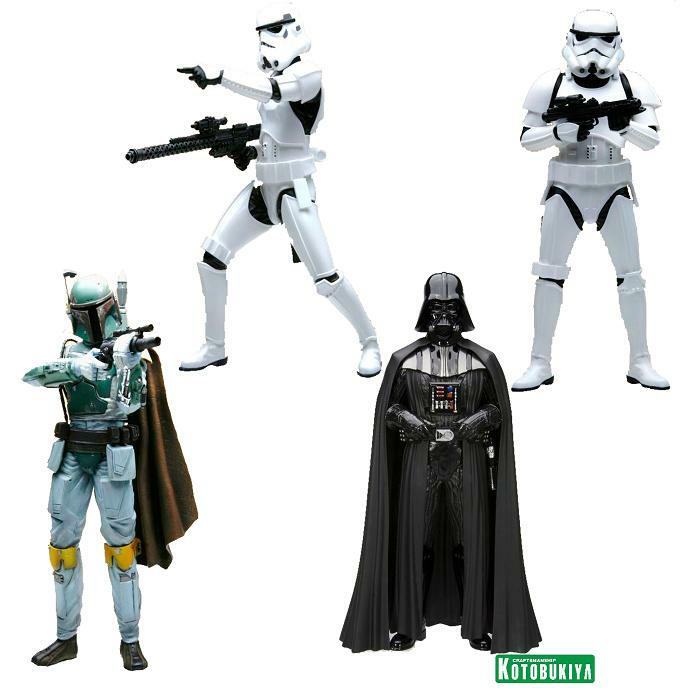 New from Gentle Giant this year are the 12" vintage style Star Wars action figures. These collectible figures are on vintage style cardbacks and come in a plastic protective package. Gentle Giant also produces a line of scaled replica helmets. 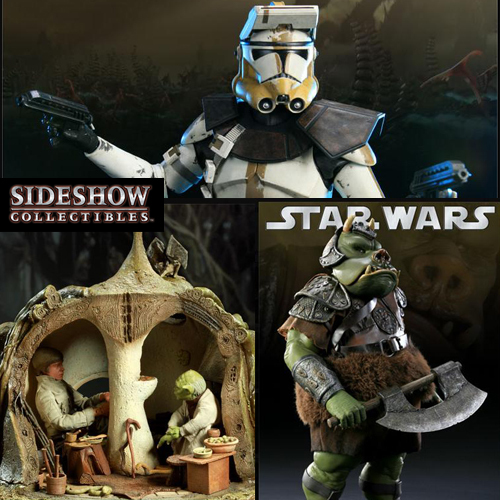 Sideshow Collectibles and Hot Toys have combined to create a line of 12" Star Wars Action Figures. The figures have features such as switch-out hands, feet, & heads. Each figure comes with a stand and accessories. Star Wars Environments are also available. 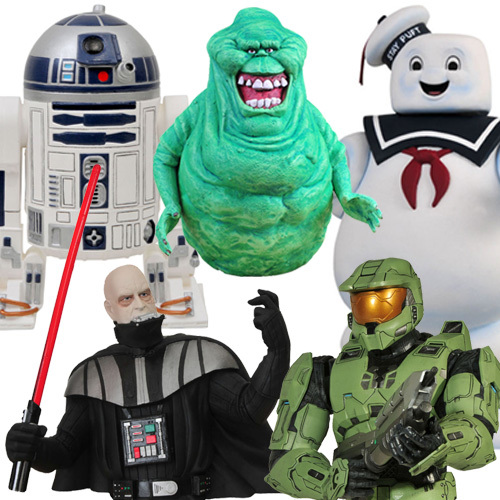 Diamond Select produces a variety of banks for Ghostbusters, Halo, and Star Wars, as well as other licenses. 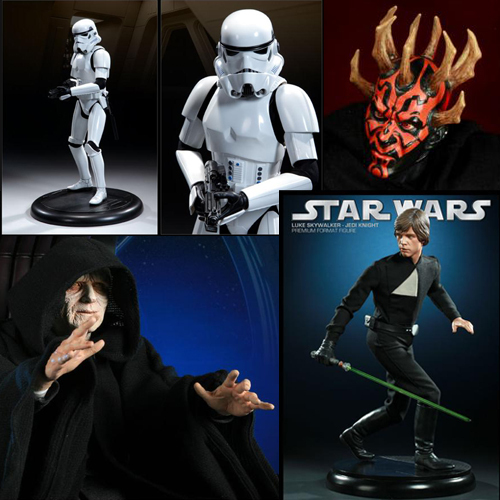 Star Wars ArtFX Statues are 1/7th scale and have features such as detailed bases, switch-out parts and light-up accessories. Star Wars ArtFX+ Statues feature interchangeable magnetic parts (arms, weapons, legs), magnetic bases, and/or articulated heads. ArtFX+ Statues are 1/10th scale and are approximately 8 inches tall. 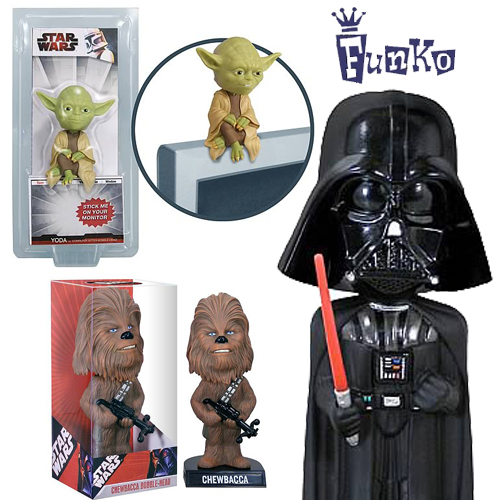 Funko produces wacky representations of your favourite Star Wars characters. Check out the Wacky Wobbler bobbleheads and the Computer Sitters, which are mini bobbleheads designed to sit on your computer monitor. 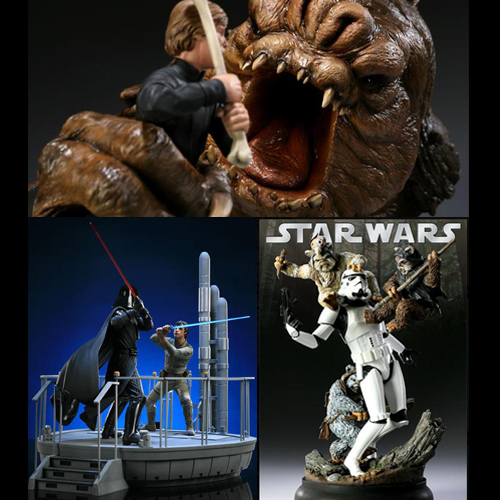 Gentle Giant produces an ongoing line of Star Wars busts, as well as statues, animated statues, and bookends. Sideshow Collectibles produces a line of highly detailed, limited edition dioramas that capture epic moments from Star Wars. 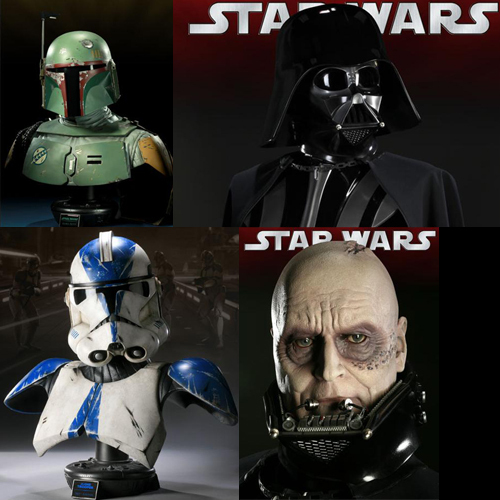 The highly detailed, ongoing line of life size busts captures the likeness of your favourite Star Wars characters. The busts have features such as cloth robes, LED lights, light-up eyes, and removeable helmets. 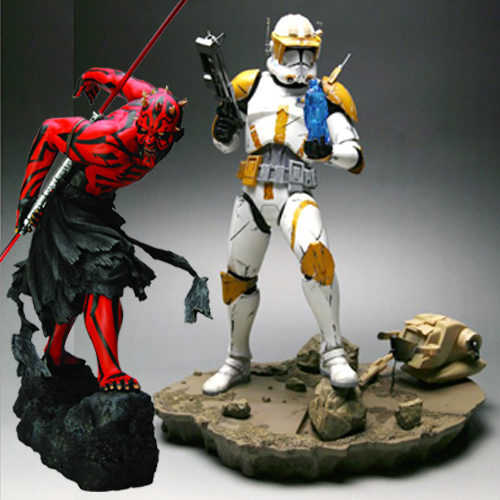 This ongoing line of statues features heroes and villians from the Star Wars universe. The figures are made of polystone and fabrics to create a unique looking statue on highly detailed base. Some figures have light-up lightsabers.